Most large corporations spend at least 2-5 years researching the market before they decide on a new product launch. Even start-ups spend a good amount of time digging in details ranging from consumer sentiments, consumer demands, product niches, nice-to-have features and essentials. Market research helps you in being one step ahead of the game and it will help in minimizing the risks. It will also help in paying dividends that will help you reach your expected ROI. However, conducting market research can be quite an ordeal. That is why asking the services of MR agencies are relevant for your own company's sake. Look into the various services of the company before you get started. Find their strengths based on their services. Most of them will provide forecasting and trends services, shopper management, targeting, segmentation and many others. Identifying the different service of the company will give you an idea more or less about what you can expect from them. Look also at their processes. Some marketing research methods require scouting millions of user blogs and some require more technical processes to address the market. You would have to do some research as to what the market research agencies offer. Of course, if you do not have the biggest and deepest pockets like multinational companies, you would have to settle with conveniently priced services. You should look into the various options and see who can offer the best value at the best price. Yes, doing market research indeed is pricey so you have to be realistic. 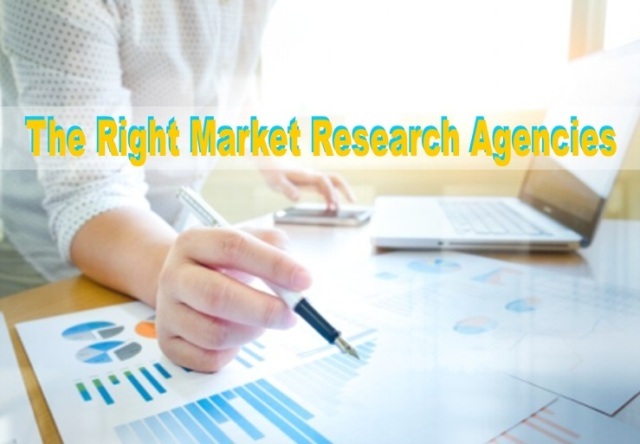 When you get the feel of the market, you will find that market research plays a considerably big chunk to its success. When they send you a proposal, how does it show the process of developing the segmentation model and how it will be delivered. You have to be guided that creating a model is not an exact science. When you finish a probable option, you will find that there are various paths in which you can possibly take. It is important the market research agency lets you get involved in the project. There are no perfect models so it would be best if the company is able to make ends meet by having a solid agreement of what to use and implement. You should not go to an agency that proudly chooses for you. They should present options that you and they can decide upon. These simple tips are just scratching the surface of what you can do to find a good market research agency and with some luck, you can effectively do business with them that is smooth sailing. Can Small Business Management Consultants Find Clients for Your Business? Often times business management consultants will assist you in finding clients. One of the many advantages to hiring a consultant is that they know so many other companies that they have either worked with in the past or know from other arenas. Business consultants can use their contacts to find clients. Business consultants have clients that are interested in purchasing various products or services and if they are already working with another company who is offering those services, with permission out of both businesses they will set up the two. The consultants also have access to key individuals at a company that a non-inside individual or company would not have access to. This is a fantastic way to find clients. Networking is extremely important in finding clients. If people don't know about your business, it is impossible for them to contact you for your services. You should join local clubs and organizations so that you can talk about your business and find people who are looking for your services. Which organizations you join depend on what services you provide, but even if an organization has a $200 annual membership fee, that is a relatively low price to pay for the network you join and the individuals you can meet. Join rotary clubs, professional organizations, and any other organizations you can find that relate to your business, and make sure you attend as many events as you can. Prepare a 30 second statement, often referred to as an elevator speech, about what you do and what services you can provide and make sure to bring extra business cards because it can be very embarrassing if someone gives you their business card, but you don't have any cards left. This is absolutely important in today's business world. More and more people are finding service providers online and you don't want to lose out on those potential clients. Search engine optimization (SEO) is one of the best methods to achieve a solid online presence. SEO is the process of improving the traffic you obtain from search engines through unpaid means. For example, you will optimize your website for certain "keywords" and when someone types in similar keywords to a search engine like Google, your website will come up in the search results. SEO can be done in house by you or your employees or by outside SEO firms. If you decide to go with an outside firm, check their references and make sure they use only "white-hat" techniques. 0 Response to "Tips in Choosing the Right Market Research Agencies"